Hello mom and dad and Mercedes and Christal and everyone! Everything is going great!! The baptism for Brigitte was really awesome, I baptized her, we ended up not being able to go to the party because the missionaries from the mtc came and contacted in our area and we were in charge of 24 missionaries! it was fun and actually kinda a relief to talk to people who have less experience than me! I'm no longer in the new group because we get new missionaries today!! pretty awesome!! Transfers are this week, so i could get transferred until about Wednesday, they will call us and tell us where we're going or if we're staying! its crazy, they call and you have to be ready to leave in like an hour! So I haven't moved yet but we will see! It's not really pollution here its more just dust and fog always, it really is dreary but I'm getting used to it now, and i like it when its really foggy! Yeah we have a lot of people progressing! we have 2 baptisms next Saturday! its really crazy! when we contact people either give us a day to come back or else we go right in and teach them! its pretty awesome. A lot of our referrals are actually pretty good too! we have a lot of success right now and i think in the next 6 weeks we should have probably 6 more baptized!! its nuts!! We usually have time with members to get referencias and they always try to give us food but we can't eat the things they cook, only on Sundays can we eat with the members!! hahaha you have a ton of questions!! Its kinda cold, i bought a sweater and usually just wear that, if i stay in Lima i probably won't need my coat honestly.. but we will see cause apparently august is the most cold, but its nothing like the cold at home! Pariachi has only little stores, so for most big things we go to chaclacayo where they have stores called metros that are kinda like smiths and have everything!! 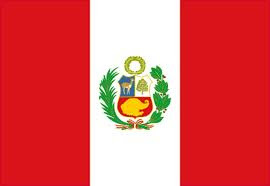 Unless i go to the huancayo mission this week i will only be in Lima, but eh its okay! I'm used to it now and it doesn't really matter! We pay 80 soles for 1 month of wash which is like 30 dollars and that's not from our money! the mission pays for that! I'm glad you had fun in Cali! I wish i could have come but I'm kinda busy!! hahaha! AH i wanna see the beach here!! but its far from where i am kinda, its not in my mission! but it might be cause the missions here all are changing areas! That's awesome about the cotton candy!! The Manti pageant thing sounds really fun too! remember when we went and it was that crazy storm!! Oh man Steve, i hope everything will be okay, i will definitely pray for him this week! So a couple more things from this week!! This week i learned that there is definitely and force working against us. One of our investigators was telling us about an experience he had after he had been reading what we wanted to him and prayed about it. He woke up in the night and heard a man calling his name from the next room, he said at first he thought it was just his dream but then he heard it really clearly again when he knew he was awake. He said he had the worst feeling hes ever had and just felt cold! its crazy, its like what happened to Joseph smith! it gives me the chills! But he knew it wasn't of god and that it was a testimony that the changes he was making are the right thing to do to keep that kinda thing out! it was really crazy and creepy cause it was like 9 at night when he told us! Also this week i went to Lima with all the north Americans for our migrations! it was awesome because it was a full day of only speaking English! everything went well, we did Interpol! so now we have our Peruvian ids which is pretty cool, they just got all our info and stuff. this week i think i will go back again to finish up! that's pretty much all the cool stuff that went on this week! I hope all is well with you mom, i miss you so much and i hope you're doing great! Love you so much and take care! The Church! I said to him at least it is nice and clean on the inside and he said, "yeah, but not on the outside"! Look how cute! His Pension sets up a nice table in all of that construction! The whole zone at the temple June 6, 2013!